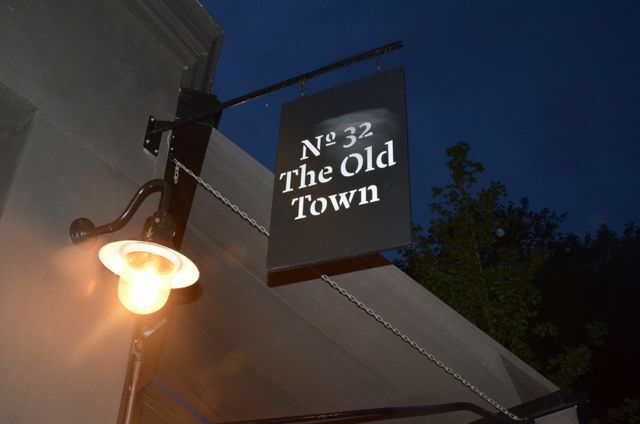 Situated just off Clapham Common, No 32 The Old Town is a sweet little spot serving up drinks and food in a hip, rustic setting with plenty of outdoor seating. Boasting both ground level outside tables and a roof deck, No 32 is the place to be on a sunny day. Unfortunately for my visit, the order of the day was soggy, disgusting rain so I didn't get to sit outside, but the inside is lovely and nicely buzzy, just as you'd expect a hip Clapham bar & restaurant to be. No 32 The Old Town is the sister restaurant to No 11 Pimilico Road which I visited earlier this summer. They have a few things in common, mainly the menu and the masterminds behind it. The vibes are at once similar and different, with each restaurant reflecting its location in a way that seems appropriate and intriguing. Fondly enough, the menus have changed a bit since my visit to No 11 Pimlico Road and I was excited to try out the new dishes and cocktails! 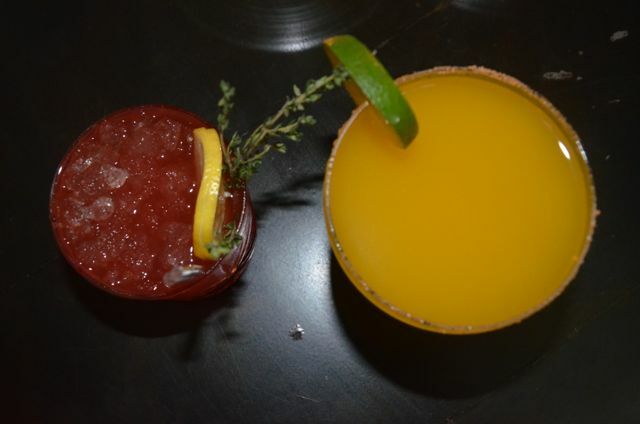 We started with a Raspberry Vieux Carré, a fruity Rye based cocktail and a Chilli Mango Margarita which features a house-made chilli salt around the rim. 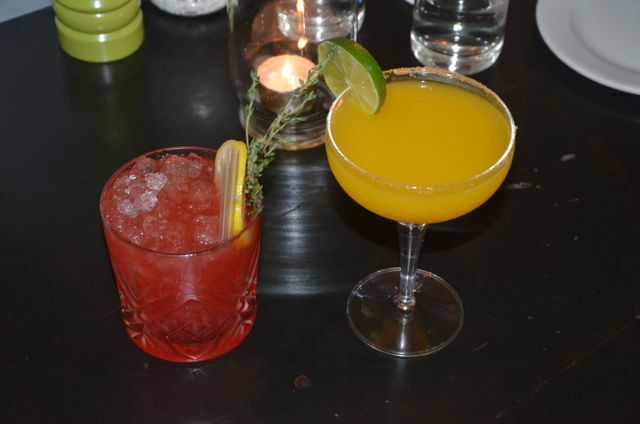 Both cocktails were delicious! 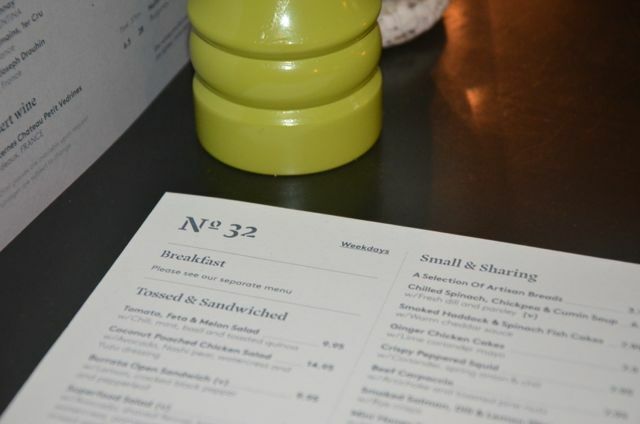 When it comes to food, I love what No 32 & No 11 are doing - it's reasonably priced, fairly casual, interesting food that you could nibble on all evening. We started with the chicken skewers which were so tender and delicious! 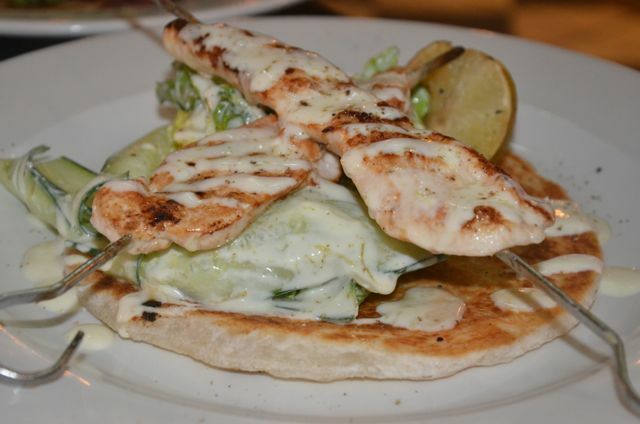 Perfectly cooked chicken with a tangy lemon yoghurt sauce on a bed of vegetables & flatbread… Yum! 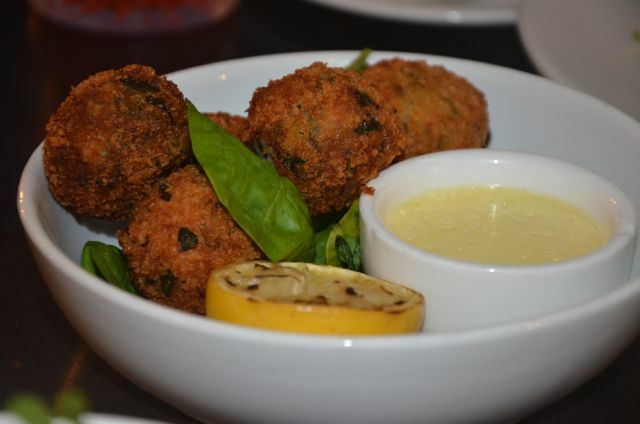 Also exceptional were the Smoked Haddock & Spinach Fish Cakes with Warm Cheddar Sauce. 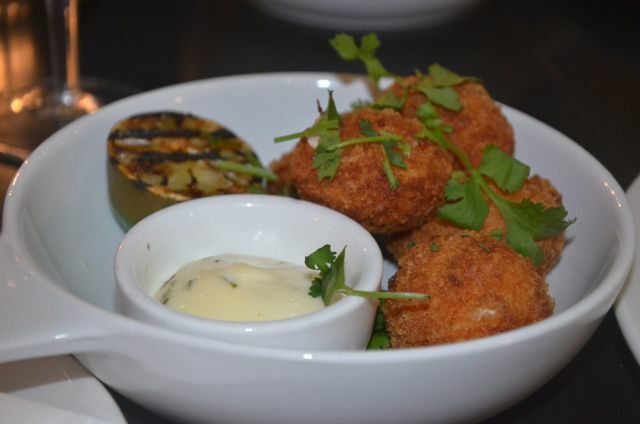 Crispy on the outside, soft and flavorful on the inside, these little nuggets took my breath away! 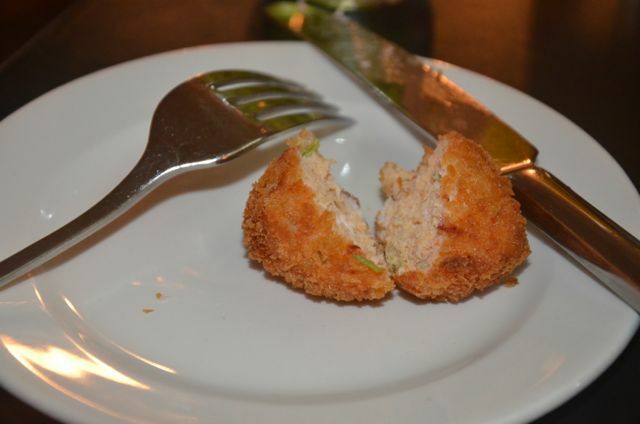 Along the same lines, we also ordered the Ginger Chicken Cakes. I expected these to be really strongly flavored with things like ginger, soy sauce, etc. and have a really intrusive flavor, but they didn't. There was a perfect balance and they're a little addictive! 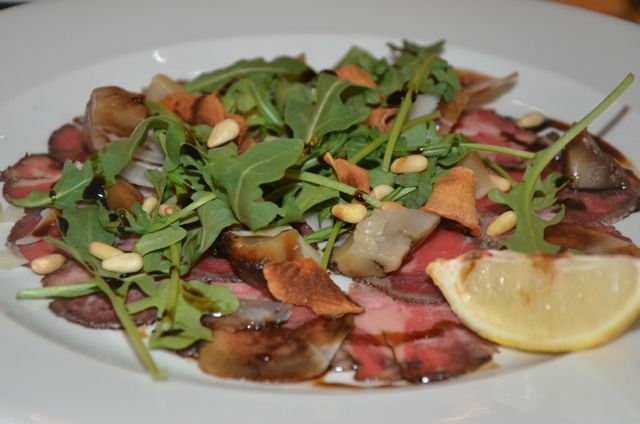 The Beef Carpaccio was our least favorite dish and while we loved every single other thing we ordered at No. 32 The Old Town, the Beef Carpaccio just couldn't compete with the other small plates we ordered. 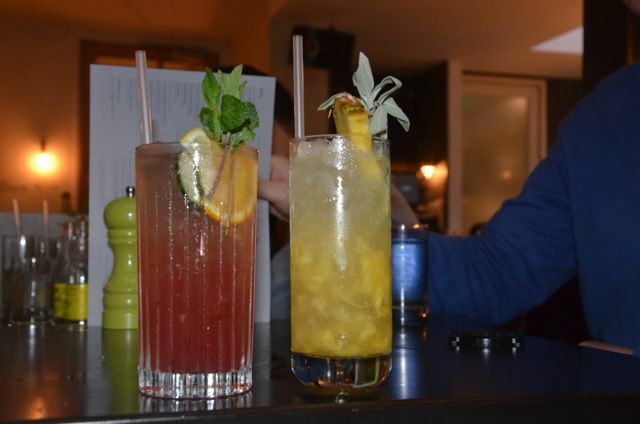 For round two, we laughed in the face of the miserable rain and ordered the two sunniest drinks on the menu - the Fruit Cup which is similar to a Pimm's style cocktail and the Pineapple & Sage Mojito. Both were fruity and delicious! After trying all four, I think it's safe to say my favorite is the Chilli Mango Margarita and I'd definitely recommend making a trip to either No. 32 The Old Town in Clapham or No. 11 Pimlico Road in Belgravia to try it - it's a special cocktail and it might not be on the menu forever! I'm not a big fan of cheesecake, which I know is weird, but when our server suggested we try the Crumble Cheesecake which he described as deconstructed I just couldn't resist. 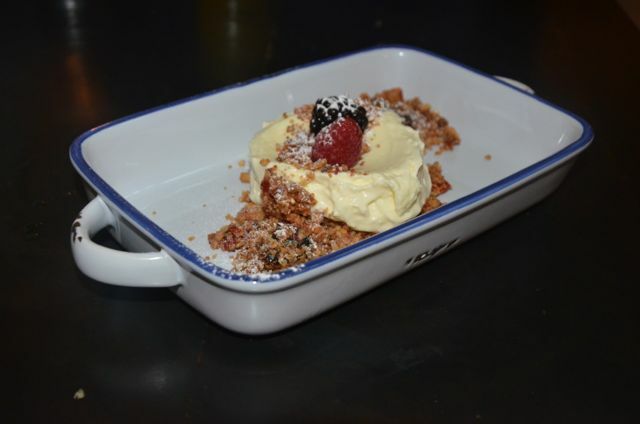 It certainly is deconstructed and the Crumble Cheesecake is one of the nicest desserts I've tasted recently. 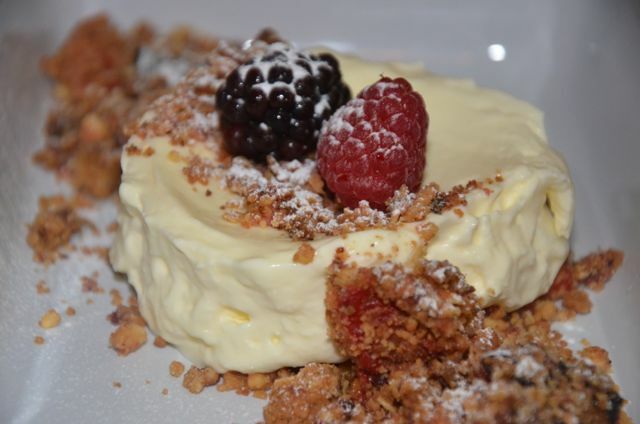 A sort of crispy, granola type crumple with bits of berries in it is scattered all about the dish with a plop of cheesecake on top and a garnish of fresh berries. It's a beautiful dessert to look at and and incredibly tasty to eat! I'd definitely recommend drinks and/or food at No. 32 The Old Town if you ever find yourself down Clapham way. 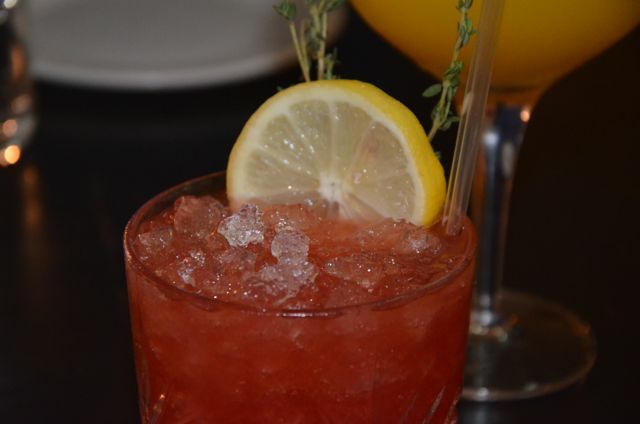 The staff is friendly, the atmosphere is relaxed and you simply can't beat the cocktails! For more information or to book reservations, visit www.no32theoldtown.co.uk.